Get regular freebie articles, video’s, ebooks and audio. Exclusive content only available to subscribers. Join thousands of other positive people who subscribe to our monthly roundup. Get a ton of free stuff, just for subscribing! Equip yourself with the insights and information you need in order to make your life more fulfilled, more enriched and happier. Get ‘a look inside positivity’, a free 82 page eBook for you to download and keep. social creatures and there are distinct advantages to all areas of our lives when we can win others over to our side, our cause, or our point of view. 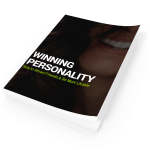 This Winning Personality comes naturally to some people, while others struggle to make friends and win people over. Thankfully it is a skill we can learn, so not all is lost if you’re not born with it. In fact, being able to make friends easily is a learned skill. Some of us just learn it a little earlier in life than others. Throughout this guide (in eBook and/or audio formats), I’ll show you why it is important to have this social skill, how you can go about attracting people and finally how to win them over. have a clear understanding of what it is and why it’s important. 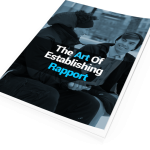 We’ll start there and then spend the rest of this short report going over how to establish rapport and use it to create friendships and good working relationships. Need help improving your diet? There are hundreds of things you can do whether you are choosing to enhance your nutritional practices for health reasons, weight loss purposes or as a personal goal, it is entirely doable. 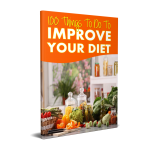 Get the answers in 100 things to do to improve your diet. 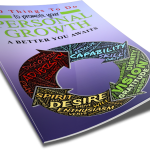 Your personal growth and development are influenced by many different factors and encompasses all aspects of your personal wellness. If you want to promote your personal growth and become a healthier, happier, more well-rounded person, there are many actions you can take to achieve these goals. Learn more in 100 thing to do to promote your personal growth: a better you awaits. as with all newsletters, you can unsubscribe at any time.